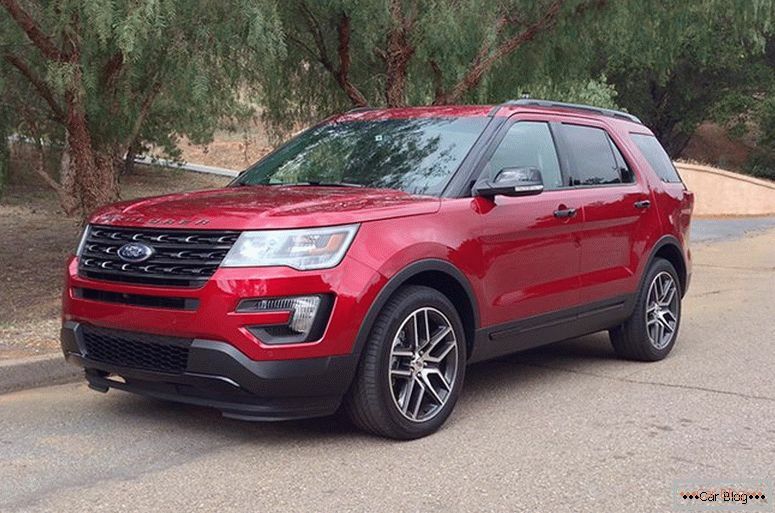 “Sport” equipment Ford Explorer - is a complete stuffing with a V6 engine of a twin-turbo. This car has turned out very powerful, and creates a serious competition to Toyota Highlander or Volkswagen Tuareg. 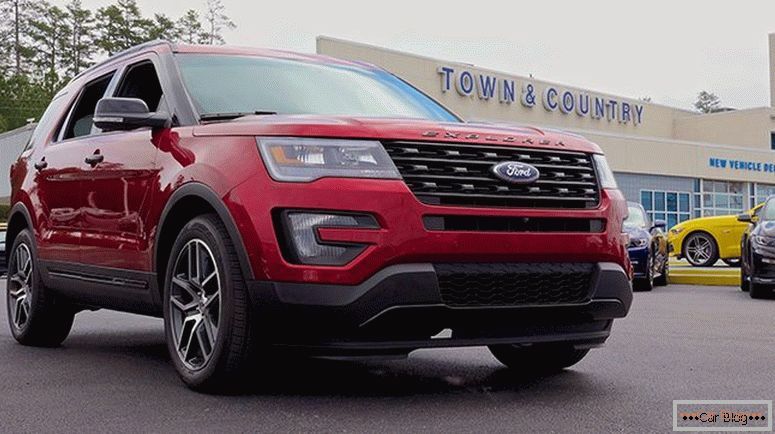 And in general, the size of the Explorer is so large that this car can compete with any car in the class of SUVs crossover. As with any car, there are also advantages and disadvantages. But the appearance of this car is fully consistent with the American car. Ford Eksplorer 2016 has a capacity of 340 liters. with. there is a four-wheel drive. Four-wheel drive is not clear why, but still with him the car on the winter road becomes more stable, especially when cornering. But in general, this is a family car, because Americans drive crossovers because this class of cars is very versatile, you can put a lot of things in it and go into nature with a big company, you can drive it quickly, it’s convenient to go shopping to the supermarket and pack up for a week and even a month. 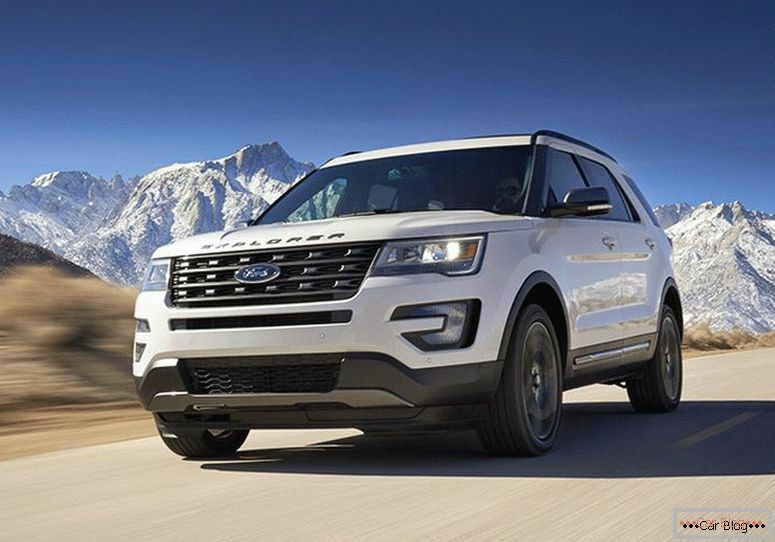 And in general, the Americans are thicker and taller, which is why their cars are more spacious, and the large American family will quietly fit into the Explorer. In the car, you can eat, drink, have cup holders installed, a great car in order to pick up a McDrive, stock up on food and eat it in the same place in the car. Armchairs are also comfortable, great passengers fit in them. The logic of mechanical engineering in Americans is different from European. Being in the American car is felt especially. A distinctive feature of the Sport package is a black grille. In the usual configuration on the grille there are silver inserts, and in the sports version these inserts are black, very much like tuning, which they like in Russia, when the wheels and other decorative elements are made in black. There are many different modern options, but there is no circular view option. Although it should be. Moreover, for such money, this car must fully comply with the premium car. Toyota Highlander, for example, is cheaper. 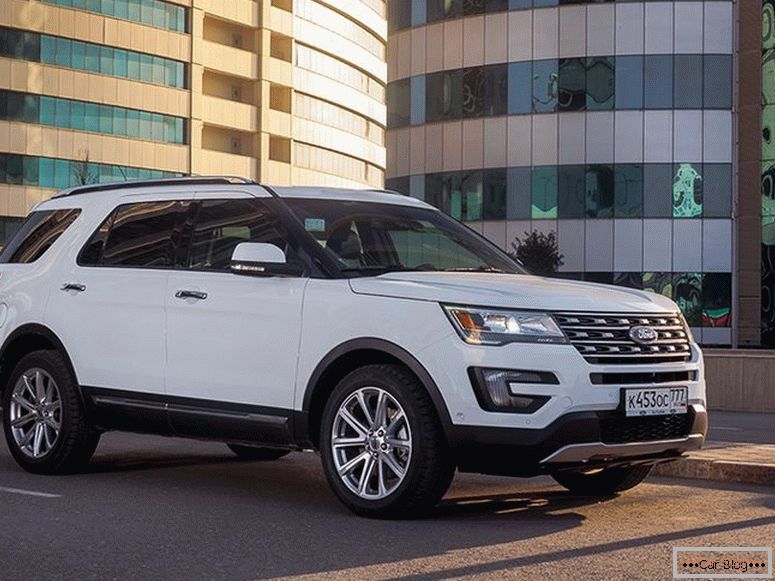 The prices for Explorer 2016 start from 3 million rubles, this price includes a leather interior, a high-quality audio system, a 249-horsepower engine will stand. In the sports equipment there are huge wheels - 20th wheels, but the tires do not look low profile, thanks to the huge wheel arches, if you wish, you can put wheels with an even larger diameter. Expand even more profile, so that on the off-road feel more confident. But in the basic configuration, the cost of which is the lowest, cost 18th wheels. For a comfortable ride they will be enough. A Sport version has excessive dynamics, engine power is really happy. As for the suspension, there is a standard suspension for cars of this class - MacPherson in the front, and behind the multi-link. Front and rear disc brakes. Suspension moderately hard, enters into turns perfectly, no serious rolls. But for such a car 340 liters. with. may seem superfluous, but the power reserve is good. True fuel consumption is declared quite high - in the city - 17 liters per 100 km. And if it is normal to sink the gas pedal, the flow will reach up to 20. But on average, 17 is the real expense figure for this car. In the sport version, Hankook Ventus tires have a lot of positive feedback, they are considered to be a very reliable brand, impenetrable and durable rubber, but it is slightly harsh, so a hook with the road can sometimes be missed. This is not an all-terrain rubber and not sports. 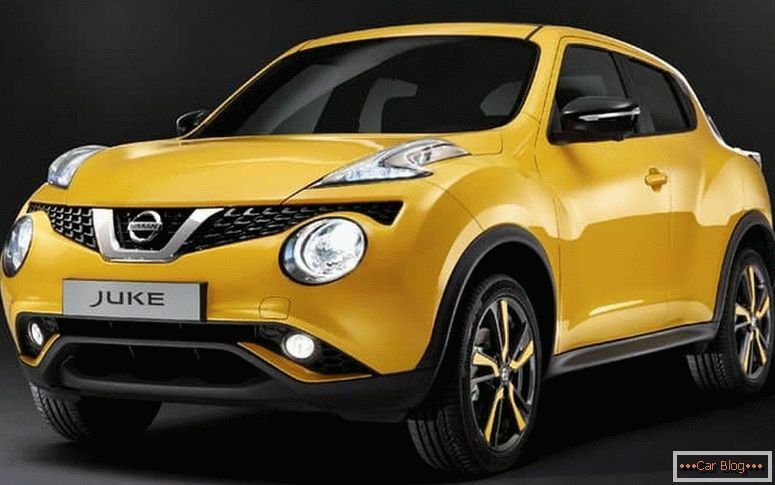 Despite the fact that this car is considered an SUV, but really, this is a family crossover. SUVs can be considered the previous generation of Explorer, when they used the frame, bridges. 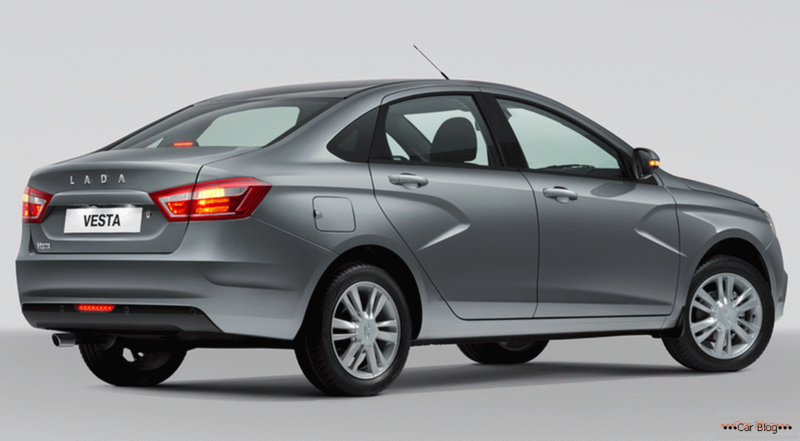 This same generation actually corresponds to a family crossover with high ground clearance - 210 mm. But by and large, this is not enough for geometrical permeability, because in this car there are big overhangs, small suspension moves, there is no all-wheel drive that is rigidly connected, there is an electro-magnetic coupling, which, depending on compression, adjusts the torque to the rear wheels . In fact, it is a front wheel drive car with a transverse engine. With such a scheme of all-wheel drive, the car can not be considered a full-fledged SUV. Electromagnetic clutch can overheat and generally does not allow the car to work hard with all the wheels at the same time. It is impossible to rigidly block the center and cross-axle differentials. For cross-axle differential here is the system of intelligent all-wheel drive Terrain Management. Depending on the selected mode (sand, snow, etc. ), the system will simulate locks, and the brake pads will press the wheels at the right moment to block the differential. But in fact, while driving on a serious off-road, this system does not work properly. Anyway, the unloaded wheel will turn. That is, a car can easily drive into a forest for a picnic with cargo and the whole family. But if you take the real off-road with stones and serious geometry, it is better not to climb into it, you can easily scratch the car, and the discs can be damaged. With such discs SUV should not be. If you look at the car in profile, you can see that its length exceeds 5 meters, which has become more than its predecessor with the frame. The width of the machine also increased - 1988 mm, and the length is 5019 mm. But the increase in size has gone to the benefit of the car, when you sit in the cabin, then there is so much free space in it that you can safely eat pizza, big maca and other food inside, which is very important for American residents. The design contains concise forms and modern lines, black plastic body kits, a completely black bottom, black arches look beautiful, it is clear that the lower part of the car should not be seriously damaged. But black handles do not look very nice on a white car. 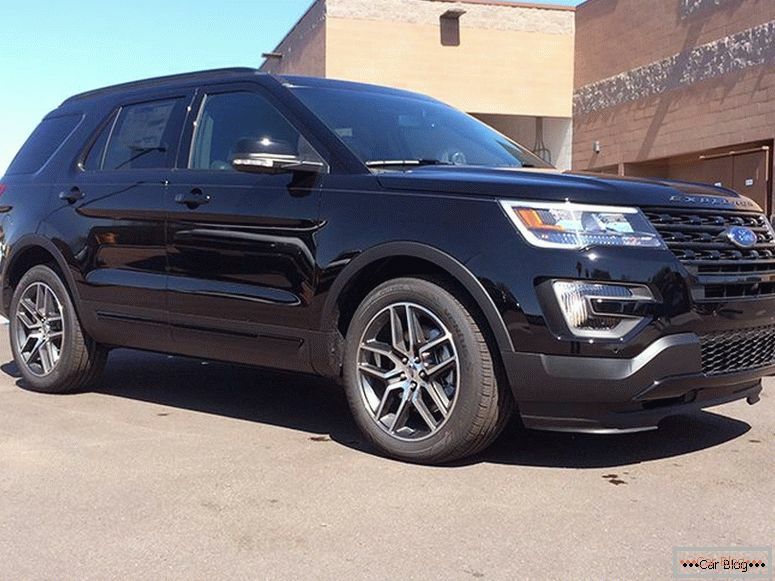 There are few similarities with the Range Rover in design, but they are not significant. The racks slightly resemble the Ewok, and the inscription Explorer on the hood is also made in a style similar to the Range Rover. The trunk opens quite simply - just hold your foot under the trunk and it will immediately open. But if these sensors become very dirty, they may stop responding. In this case, you can open or close the trunk with the button. The trunk is really huge, it has control buttons for the 3rd row of seats. In the car, 7 seats, you can put the whole family with children, a dog and even mother-in-law. Using the button, you can lower the 3rd row of seats, after which the amount of luggage space will become just huge. Even in the luggage compartment there are coasters and niches for food. In fact, in the trunk with folded seats you can really sleep. For long distances - this machine is what you need. Two exhaust pipes with beautiful nozzles also look great. You can put the hitch, and easy to transport boats or just a trailer, enough power to do it. There is a “Sport” label on the trunk, which means that you have a loaded equipment with a 340-horsepower engine. The car accelerates to 100 km / h in 6.4 seconds, and this is very fast, as for such a crossover. The key even here is beautiful, in the form of a streamlined typewriter, it looks stylish and modern. Using the key, you can remotely start the motor. From the apartment it will not be possible to start it, but from a private house it is easy. There are good seals on the doors, that the dust does not get into the cabin. The most basic equipment will cost 2 989 000 rubles. But taking into account various bonuses and the sale of your previous car in a trade-in, you can take this configuration for 2,600,000 rubles. Just a great price for today. This includes beautiful wheels, leather interior. There will be no Luke, there will be no premium audio system either, but all the necessary and key options are included here. There is keyless access to the car. But the most popular equipment is “Limited”, it has everything except the rain sensor and a sports suspension with adjustable shock absorbers. The most top “Sport” version with a 3.5-liter EcoBoost engine with a capacity of 340 liters. with. worth 3,654,000 rubles, taking into account bonuses, the price will also be much less. The hood does not open very comfortably, and is held with a conventional stick. Under the hood is written EcoBoost, this means that the motor with a turbine, in the sports version of the turbine 2. 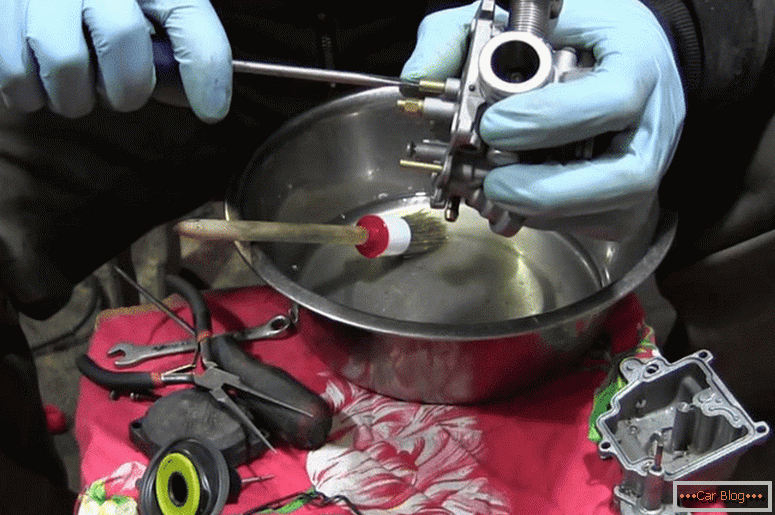 These motors are more environmentally friendly and efficient. Thanks to the turbines it is possible to achieve more power with a smaller engine size. The efficiency of the motor increases quite seriously compared with a conventional atmospheric engine. Thanks to the turbine, both torque and horsepower increase. For example, a conventional aspirated engine at 3700 rpm produces 200 liters. with. power on the passport. But when a car with such a motor gets under way, the power is about 75 liters. with. After the tachometer needle rises, the engine power also grows, and the maximum power is reached with the number of revolutions indicated in those. passport This is about 6500 rpm. And up to this point, the power is much less. And on a turbine engine, a car can reach its maximum power already at 2500 rpm. In terms of maintenance, turbocharged engines will cost more than aspirated ones. Since the system is more complicated, therefore, it is more expensive to repair. Here, more equipment: intercooler, turbine. Motor resource is less, but more emotion. But atmospheric engines also have their advantages: simplicity and reliability. In Explorer 2016, a direct injection system is installed, but the car can work fine on 92nd gasoline. And in general, almost all American cars drive 92nd gasoline. In terms of service, Ford is considered one of the most inexpensive brands. Inside, everything is beautiful, a large elegant display, the engine is started with a button. On the front console a lot of different buttons, in terms of ergonomics is not very familiar. Multimedia system features. 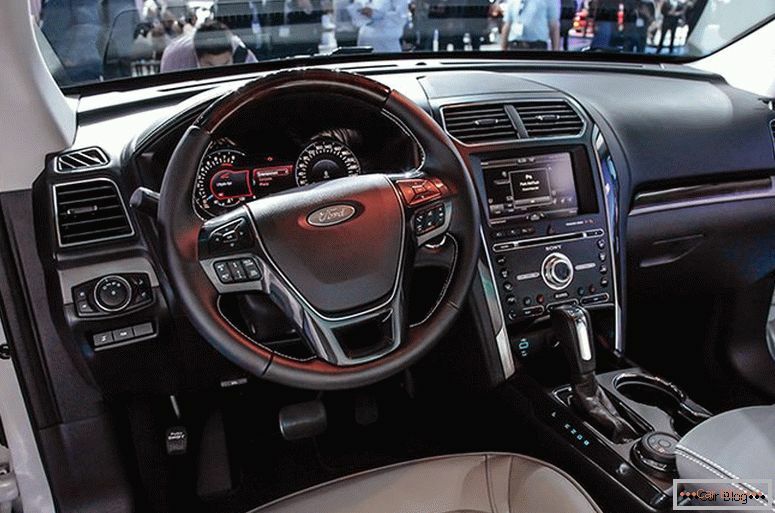 There is a 3-zone climate control, black ceiling. Comfortable armrest with a niche in which you can hide some things, the buttons on the steering wheel, the dashboard is perfectly readable. There are many personal settings. You can see how much pressure in the tires, what the temperature of the oil, etc. The lights are different, there is even a highlight of the coasters. On the dashboard soft soft plastic. Seats were created for large people, there is no pronounced lateral support, like on German cars. Power seats, heated seats and windshield too. The steering wheel is also electrically adjustable, it can be set higher or lower, closer or farther. Even the pedals can be adjusted, bring them closer or farther. Noise isolation is excellent, not even the sound of the engine. The rear seats also have enough space, you can adjust the climate control settings. Above your head a lot of space. The car accelerates quickly, the motor growls pleasantly, without a sport mode up to a hundred, the Explorer accelerates in 6.8 seconds. The brakes are good too, such a big and heavy car stops also quickly. The car provokes aggressive driving style. Automatic adaptive and adapts to the style of driving. Shifts gears at high speeds. In sport mode, the car gets wilder, the gears shift more abruptly, the thrill of driving becomes even more pleasant. The dynamics of acceleration is impressive, the engine growls, the car accelerates easily and quickly to 200 km / h.
If you drive on the sand, you can put the “Sand” mode and the car will remain in first gear longer. You can also set the “Dirt” mode and there’s no particular difference. On the sand slides, too, excellent calls in the Sand. 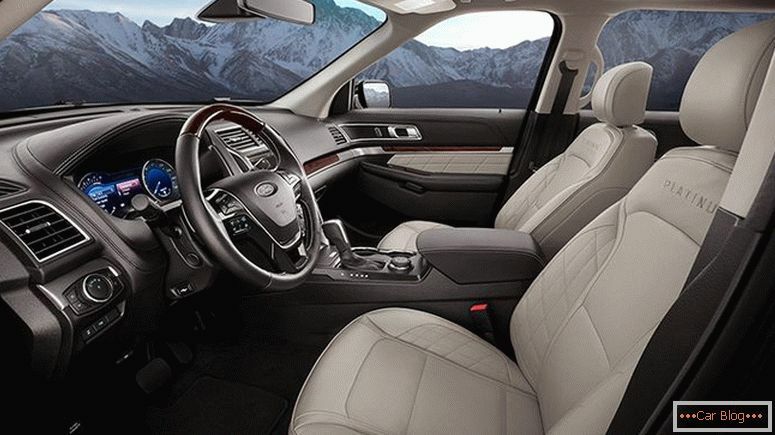 Compared with the Highlander, Ford benefits in many ways.